Following up my initial impressions last Friday, I’ve had a chance to hoop in the HyperRev 2016s a couple more times to complete the review. The silhouette itself is polarizing, but I find it to be one of the best looking Nike shoes in recent memory. They went for a totally different look and construction and for that, major props to Tony Hardman (still remember his unreal Kicksguide renderings back in the day) the folks behind it. It reminds me of the 90s era Nike models that would take some chances in terms of design and construction. The $110 price point makes it insanely accessible for most. With those two things going for it, we’ll do a little deeper dive on the 2016 Rev and how it plays on court. I mentioned the totally different construction, and the build of the shoe is integral to its performance on court. The base of the upper is basically a neoprene/mesh bootie that extends up over the ankle bone with a stretch fit collar. 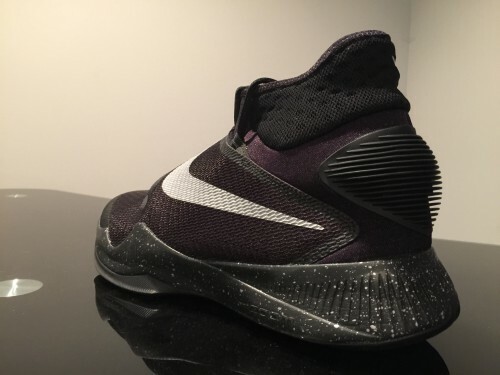 This shoe is extremely hard to get on your foot (I went TTS with an 11.5), and wide footers or those needing ankle braces probably won’t be able to get them on. 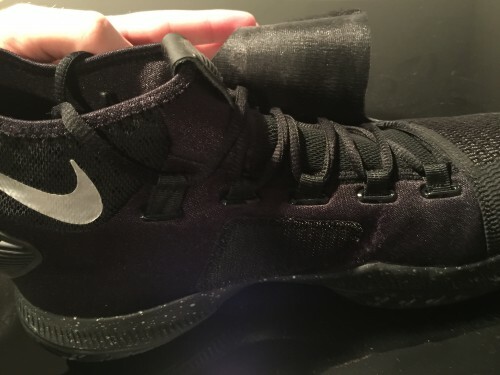 I’ve found the best/fastest way is to get a death grip on the front pull tab and just mash the heel counter down with your foot until you can get it on. Not ideal. Once on foot though, the fit is fairly snug and supportive. The support and lacing system comes in the form of lace straps stitched into the midsole (thankfully NOT Flywire) and I felt that the lacing system here is far better than the last two Rev models. It’s not as flashy as Flywire and doesn’t have a fancy marketing name, but it gets the job done. 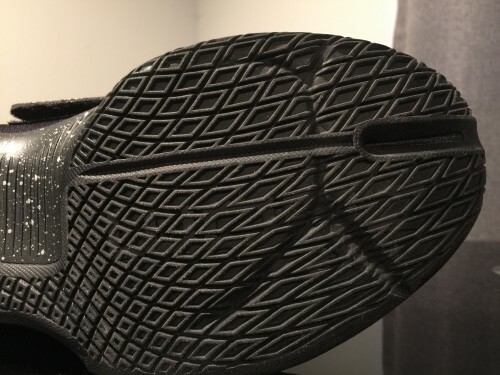 Like the previous versions, the top eyestay is just below the ankle bone so you’re not getting a ton of lockdown above there – the shoe could have easily been a low top. The other aspect for fit and lockdown is the large Hyperfuse strap that’s integrated into the lateral side of the upper. It goes across the midfoot with a simple Velcro attachment, and provides more security. I did not feel the strap impeded flexibility at all. Overall, fit was very good but probably just short of great. I always felt like there was extra space around the heel – possibly because of how the collar and heel were shaped with that rubber heel counter – but I couldn’t go down to a size 11 because it was tight in the toe box. I never felt a serious amount of slippage, but there was just a little extra room all around. Transition is very smooth right of the box with a fairly standard Phylon midsole with heel and forefoot Zoom units. The outsole also is segmented to promote natural movement and a decoupled (split) toe enhances the feel. No issues at all through the footstrike. I’ve mentioned it before, but it bears repeating: this is an extremely well cushioned shoe, and even more so when you consider the $110 price tag. Nike’s Zoom based shoes should always come with this kind of setup. No more thin met bags or dull heel bags. The Zoom used here is responsive and gives you the stability and court feel all in one. It’s certainly one of the best cushioned shoes I’ve tested in awhile, coming in just below the Rose 6 in my unofficial rankings. Besides the excellent Zoom usage, the whole package is very good all around. It’s light but provides adequate support for most players, uses a large forefoot outrigger for extra stability and gives a very natural feel all around. It’s not a complicated setup, but it works to perfection. The diamond grid pattern provides very good grip on most court surfaces. I didn’t find it real squeaky, but it stopped on a dime pretty much whenever I asked. I’m not sure that it’s built for outdoor play, but it’s good for all indoor surfaces. Deep flex grooves help here too. I have a few reservations about the long term durability of those lace straps and some have heard of issues with the strap not hooking up with the Velcro patch very well. I also wonder about the rubber heel counter, which seems to just be glued or fused on. The sock-like upper is going to stretch and pull under stress and I could see the heel counter beginning to peel away over time. No issues have popped up in my initial wearings though (you’d be surprised at how many shoes do show flaws early on) so I have nothing to report so far. All in all, I think they’d be durable enough as a team shoe option, especially with the solid colorblocking. 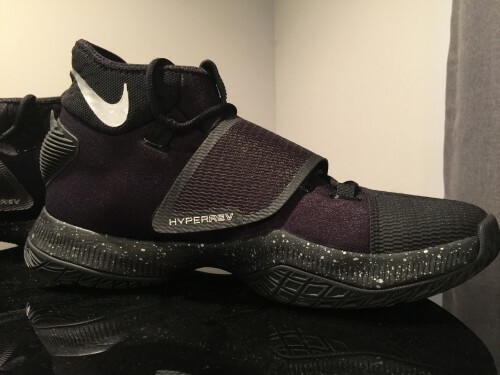 The HyperRev does just about everything well and has an exceptional cushioning setup – one of the best on the market. Lockdown could be a little better at the heel, but that’s just about my only complaint. It’s simply a great shoe at an unbeatable price and should be near the top of your list to pick up next. Wide footers and big guys may have an issue getting the shoes on, so it’s definitely one that needs to be tried on in-store before a purchase. Great review! I’m currently trying to decide between these, Curry 2 or the D Lillard 2. Would it be safe to say you enjoy the cushioning set-up with the HyperRev more than Currys or Lillards? Thanks man – I’ll have a better answer once I get done with the Lillard 2 review. I just played in them for the first time on Monday. Definitely a different setup than the Revs but I’ll need a few more runs to really figure out what I like best. Yeah it was probably the shape – it probably felt looser than it actually was. I wasn’t slipping off the footbed or anything but just had a little movement a couple different times. Really can’t go wrong at $110 either way. Did the way you laced up through the pull tab make any difference? I’ve thought this about each Rev model but I wished it laced up a little higher sometimes. The heel gets better with each wear imo. It made a little difference since it laces s little higher. Give it a try. I am either going to get these or the Curry 2s. What do you recommend? I’ve read Schwollos reviews, and he seems to slightly favor the Curry 2s, but my only thing that really wants me to get these shoes more is that not as many people have these shoes where I play, and they would be really unique on the court, especially if I got them NikeiD customized. Then again, what do you recommend? Great Review! Schwollo is a good reviewer and a huge fan of the Curry’s – his assessment of them is pretty good. I passed on the Curry 2 mids and actually wrapped up my Curry 2 Low review the other day. The upper is different obviously on the two, but the cushioning platform and outsole are the same. It really depends on what you’re looking for in the shoes. The Curry’s are gonna have a little firmer cushion and the upper is a nice tight fit on the foot. The Curry 2 Low has a bad heel slip problem so I wouldn’t recommend them, but the mids don’t have that issue. The Revs are softer and bouncier cushioning-wise, and I’m a big fan of that Zoom setup. You’ll definitely want to try the Revs on first too because if you have a wide foot or wear bulky ankle braces they might be hard to get on. 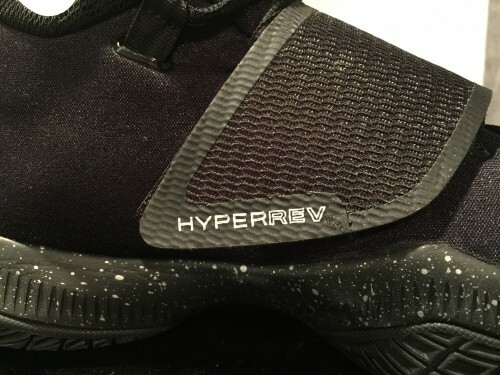 The heel fit seemed weird to me on the HyperRevs too, like I could never get it to feel nice and tight on the heel. But I didn’t slip around too much either. 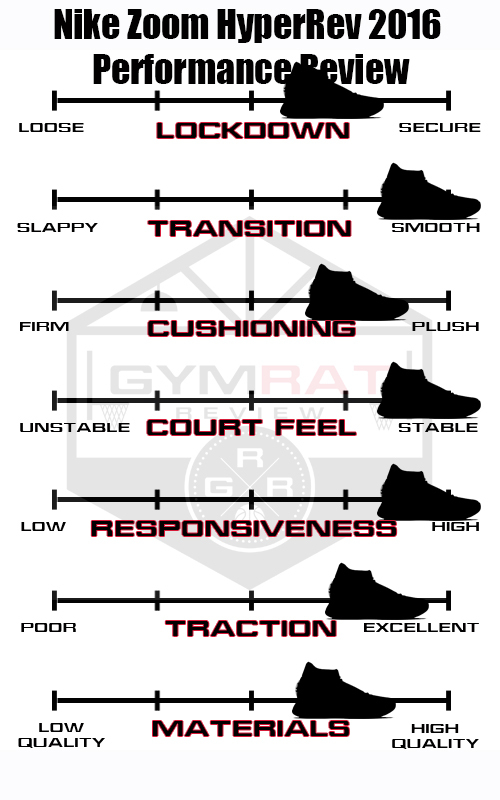 In my opinion, it comes down to whether you want firm, low to the ground cushioning like the Charged midsole in the Currys or whether you’re a Zoom Air fan. The HyperRev Zoom is really, really nice. I’d probably lean towards the Curry’s myself but it’s a toss up. Thanks. I’ll have to try them on at the store. I don’t wear braces, but I do need some support, so I will certainly not be picking up the lows. I have a pair of unlocked Zoom Jordans right now and I’m a big fan, so I like the zoom setup, but I also like feeling like I can feel the ground. Know what I mean? It might just come down to what colorways they have, or if the Curry 3s are out by then or what not. Thanks for the advice and the review. 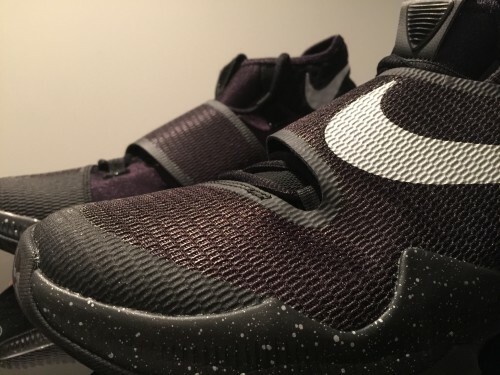 I will say that the Zoom bags in the HyperRev feel similar to the XX8 unlocked setup. They don’t have the flight plate for support but the Zoom is great. 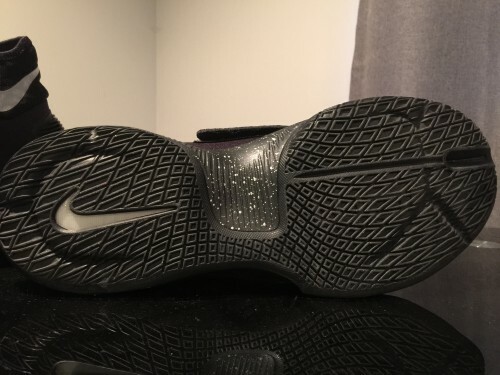 I heard the all black pairs don’t squeak, anyone know if the white outsole ones squeak? Is the zoom similar to unlocked zoom?